There are a lot of processes (programs) running on your PC, and the number of them is not as important as what they are. Go to answersthatwork.com and click on the Task List icon. There is an alphabetical listing of the processes you may find running on your computer. 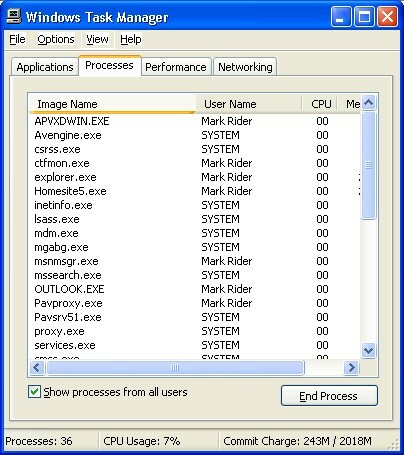 Look at what you have running in Task Manager, and compare that to the list they provide. The descriptions and explanations are very good, and there may be some processes you do not need to run. If you have ended the processes, or if the Answers That Work website indicates that you have some nasties installed and running without your knowledge, get SpyBot Search and Destroy and get rid of it (them).